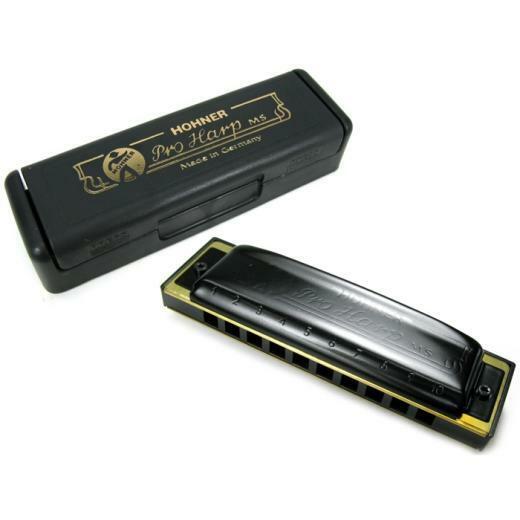 Sophisticated looks and style, another great Hohner MS diatonic harmonica. More and more professionals are turning to this harp for its extreme durability, consistent, powerful sound and slick appearance. A well kept secret among performers looking to add an MS model to their arsenal of Special 20s and Marine Bands. Black covers, black plastic body, standard diatonic tuning, all major keys. Replacement reed plates sold separately. Cool harmonica gift idea. A good pro or beginner harmonica to buy. A diatonic harmonica perfect for blues rock harp.